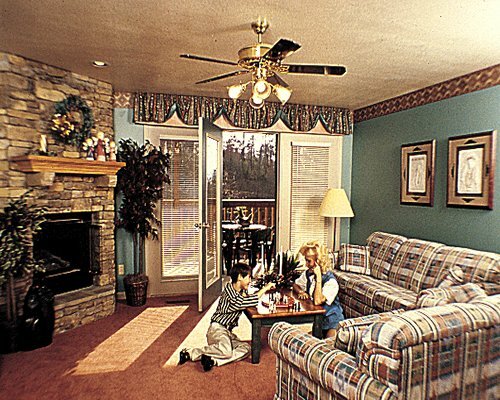 Ridgecrest Resort is situated on a ridge overlooking forested hills and Dollywood®, a family amusement park featuring a re-created 1880s pioneer settlement. In warmer months, guests can enjoy activities such as golf, horseback riding, and fishing, all of which are only minutes from the resort area. 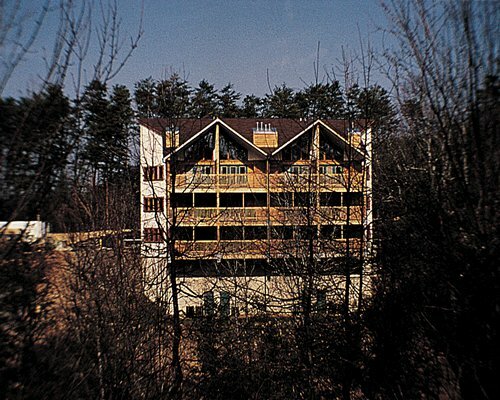 During the winter, only eight miles away, ski the slopes of Ober Gatlinburg are available. Along with downhill skiing, Ober Gatlinburg offers year-round amenities including an ice-skating arena, an Alpine slide, and chairlift rides to the summit of Mount Harrison. Golf Golf Tee Times : Call for Tee times. The nearest major airport is 35 miles away in Knoxville. From the airport, take 129 to John Sevier Parkway and exit at Hwy 441. Then go right (east) through Seveirville to Pigeon Forge. Turn left at traffic light, marked #7. go to second stop sign, turn right. Go to traffic signal, turn left. Go .02 miles on Veteran's Blvd. to sign and turn right. Proceed to the Clubhouse for check-in. Mandatory Security deposit is 50.00 U.S. dollars. Cash or Credit is accepted.